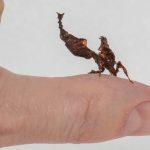 Phyllocrania paradoxa (Ghost Mantis) is a relatively easy Praying Mantis to keep and as such is perfect for a beginner keeping exotic invertebrates. 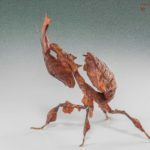 With its superb adaptations of leaf-like mimicry, Phyllocrania paradoxa (Ghost Mantis) really is a distinguishable and truly captivating species of Praying Mantis to keep. 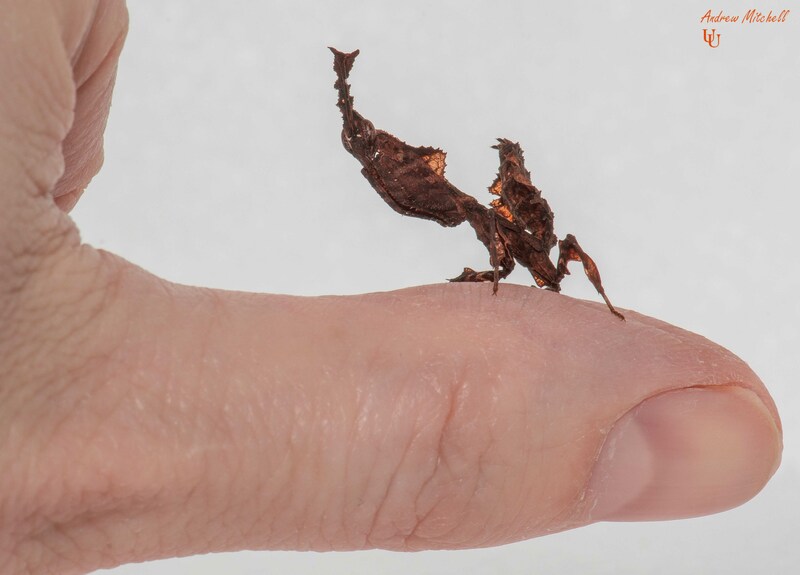 Phyllocrania paradoxa, common name ghost mantis, is a small species of mantis from Africa remarkable for its leaf-like body. It is one of the three species in the genus Phyllocrania.. 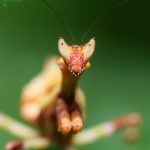 Compared to many other praying mantises, the ghost mantis is a “miniature species” growing to only about 45 to 50 millimetres (1.8 to 2.0 in) long. It comes in various brownish shades from very dark brown (almost black) to greenish gray. 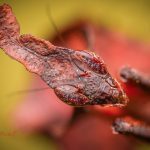 An individual’s colors change between molts and are also dependent on light and humidity levels. 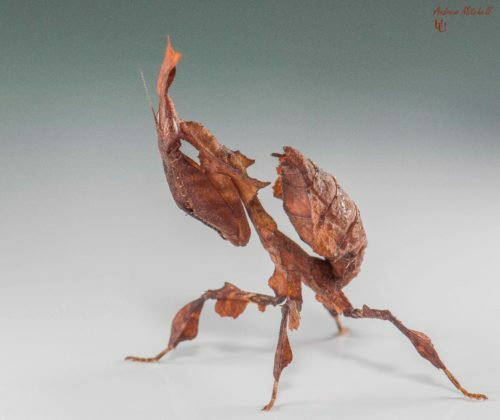 Phyllocrania paradoxa is camouflaged so as to appear as dead, dried-up leaf material. 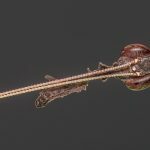 It has an elongated head, a flattened, extended prothorax (together referred to as its “elaborate headdress and shoulder shields” by one enthusiast), and leaf-like protrusions from its limbs. 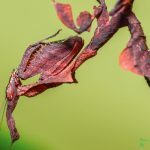 The mantis also has a forewing that looks like a desiccated leaf, and the “creases” in the wings are actually shadings of pigment. P. paradoxa oothecae can hatch out up to three dozen young. 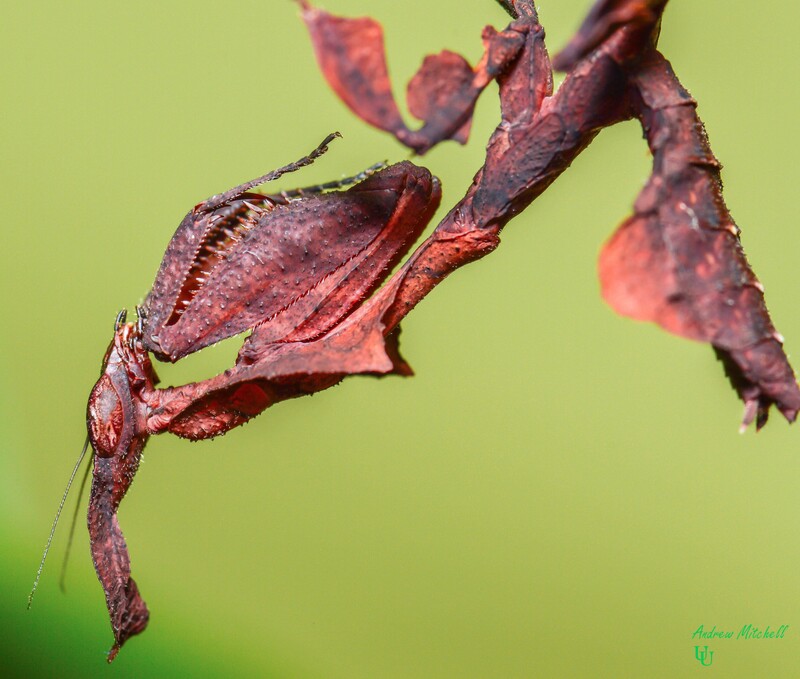 1st and 2nd instar nymphs of this species are dark colored and use ant mimicry as a defense. 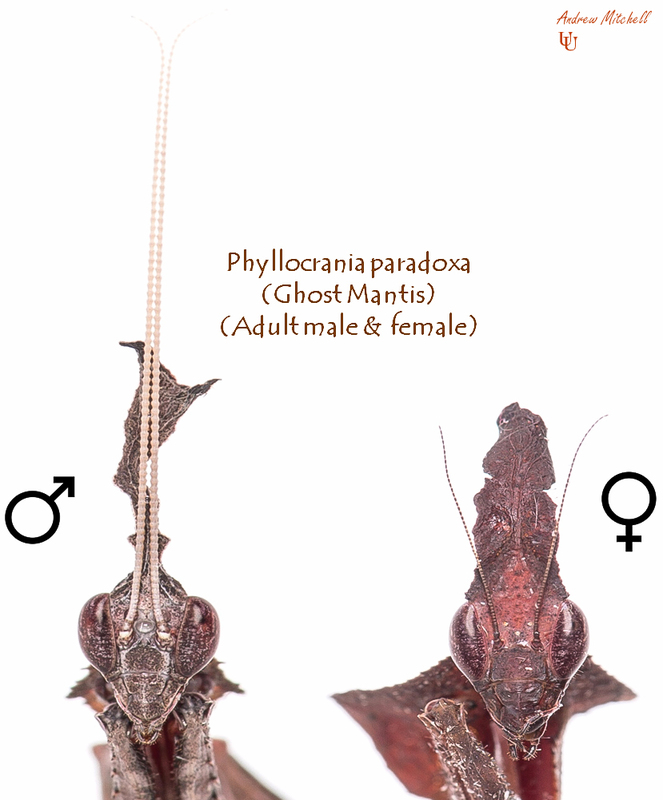 As with most or all species of mantis, Phyllocrania paradoxa is sexually dimorphic, with females being larger than males. Females have six abdominal segments. Males are shorter, narrower, and have eight-segmented abdomens. 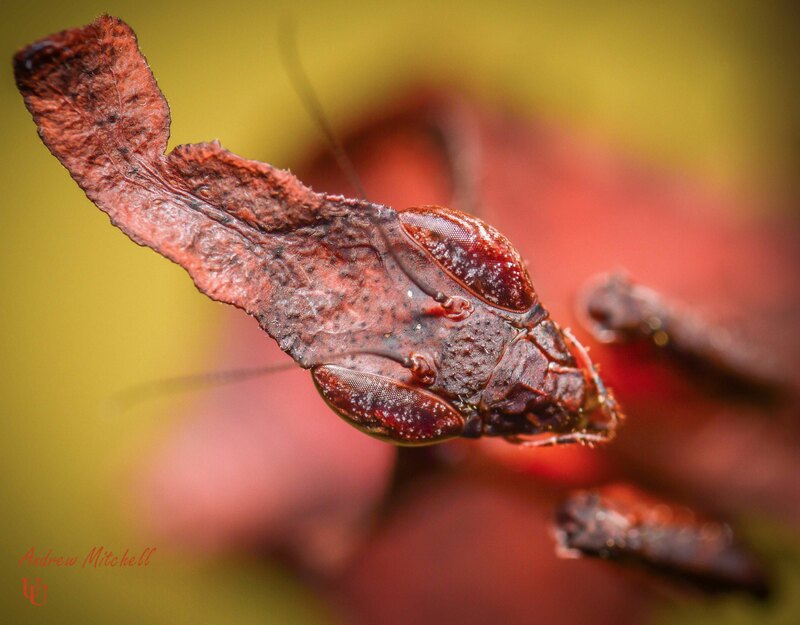 At the 5th instar and above males are thinner than females and have smaller appendages (lateral of the abdomen). At the 6th instar and above their crowns are different. 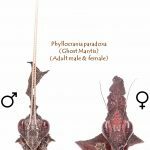 When adult, males have longer and thicker antennae than females and have transparent wings, which are longer than the abdomen and are good flyers and are significant thinner than the females. 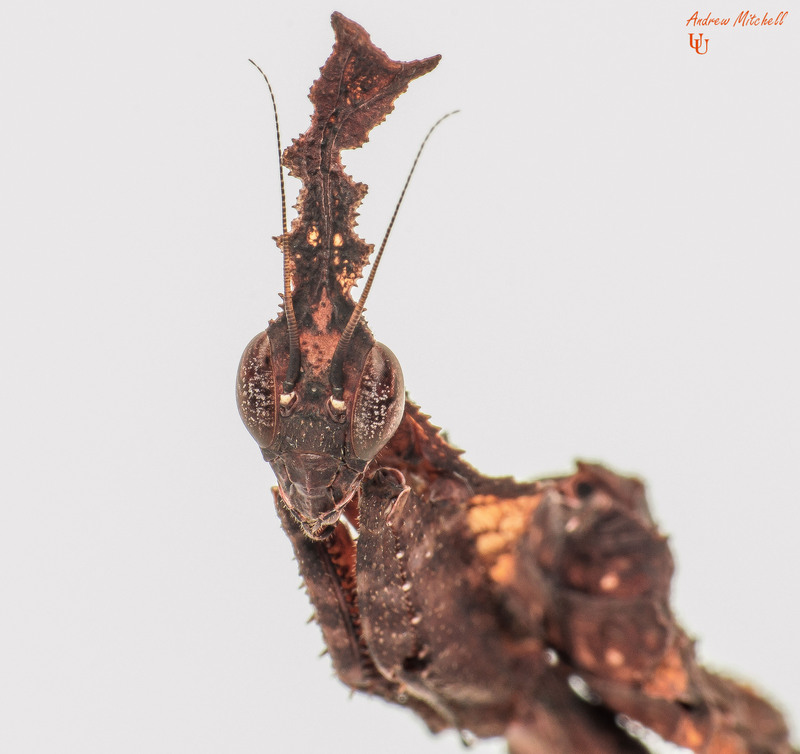 At the 5th instar and above females are more compact than males and have bigger appendages. At the 6th instar and above the crown of females are as wide as their head and more line and smoother than the male`s crown. 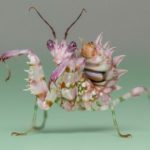 When adult, females are significantly more compact than the male with shorter antennae and the wings cover the abdomen.